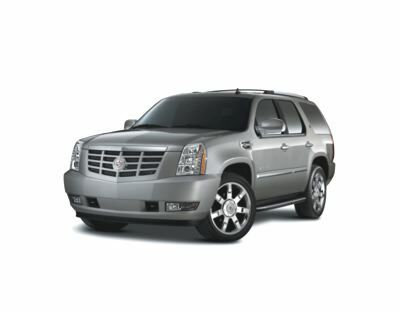 Cadillac Escalade – With seating for 8 passengers, the 2010 Cadillac Escalade and Escalade ESV offer loads of cargo capacity for consumers who need this in a family hauler. As Kelley Blue Book comments: “If your driving life demands plenty of room for people plus cargo, along with luxury amenities and a brash aura, the Escalade could be your breed of SUV.” Escalade also benefits from plenty of power for its people/cargo-carrying capacity with potent 403-hp 6.2-liter V8 engine mated to 6-speed automatic transmission. As for cargo volume, here are the numbers: 16.9 cubic feet of space behind 3rd-row seats, 60.3 cubic feet of space with it removed, and overall cargo volume (2nd-row folded and 3rd-row removed) of 108.9 cubic feet. Opt for the Escalade ESV, and there’s 45.8 cubic feet behind row 3, 90 cubic feet of space with it removed, and 137.4 cubic feet with the 2nd row removed. Chevrolet Suburban – In the purest sense, the 2010 Chevrolet Suburban is the least expensive of the GM large SUVs. In terms of most cargo space, it’s tied with the Escalade ESV with overall cargo volume of 137.4 cubic feet (with 2nd– and 3rd-row seats removed). The manufacturer claims Suburban beats Ford Expedition and Nissan Armada handily in maximum cargo capacity – a fact easily verified by a look at the competitors’ technical specs. Edmunds says, “The 2010 Chevrolet Suburban is a compelling choice for those who need a traditional full-size SUV with massive passenger, cargo and towing capacities.” Furthermore, it seats up to 9 people, boasts many standard and optional features, a comfortable ride, and two smooth V8 power plants.